Happy Drink D2 Day - Favorite D2 Memory Contest! First Prize Winner- Rick D. and Katherine D.
It was 2001 when we first met and started dating. As in the beginning of all relationships, you spend time discovering each other, finding out the things that you have in common (and those things that you don't). 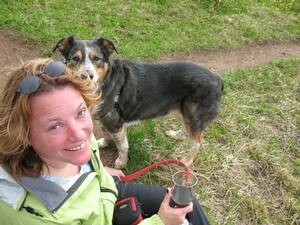 One of our common pleasures, as it turned out, was drinking and enjoying wine. 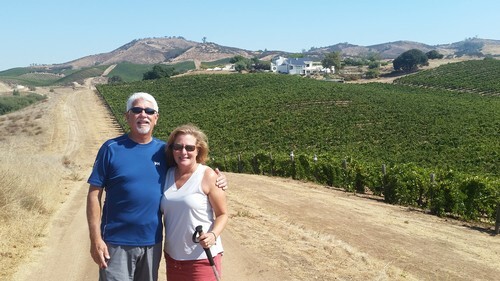 She had a fondness for wines from out of the country, while my loyalties lied more with local varieties, scattered with some Californian selections. It made for some fun sampling, each trying ones the other liked. We had been together about 6 months and I still hadn't shared with her one of my very favorites, D2. To paraphrase an old Seinfeld episode, I wanted to make sure she was "D2 worthy". As I could have predicted, she fell in love with it from the very first taste. Over the years, it became our identifier. Because both of our last names began with a "D", and because we often would bring a bottle to gatherings, we became the D2's. Our friends would address things to the D2's and we would sign responses the same. As with any passion or collectable, it can become somewhat addicting to find new ways to share the "thirst" for the brand. Of course we like to buy and drink it, as we still have bottles of every year dating back to 2004. 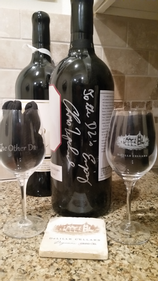 When we referred a new member to the DeLille wine club, our gift glasses were personalized "the Other D2". When the 20 anniversary bottle was released, Chris signed it "to the D2's". Very special for us. As it has been for all of these years, D2 is our house wine. 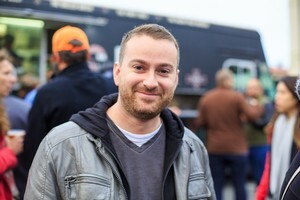 SECOND PrizE WINNER- Carter H.
I started working at El Gaucho Seattle when I was 18 years old. I knew from the second I walked in the door I wanted to be a server and work my way up from being a food runner. I was surrounded by tableside salads, flaming desserts, and an element I was absolutely not ready for: sommeliers. They would approach a table, work their magic, and voila they would emerge with a great wine to complement the guests experience. For years I heard the name "D2" thrown all about. Servers were saying it, bartenders were saying it, guests were asking for it. Finally one day I overheard a guest exclaim how divine the D2 was, so I did some investigating. Then came my birthday, and after being the youngest and only person in the restaurant under 21 everyone came out to celebrate my big day! 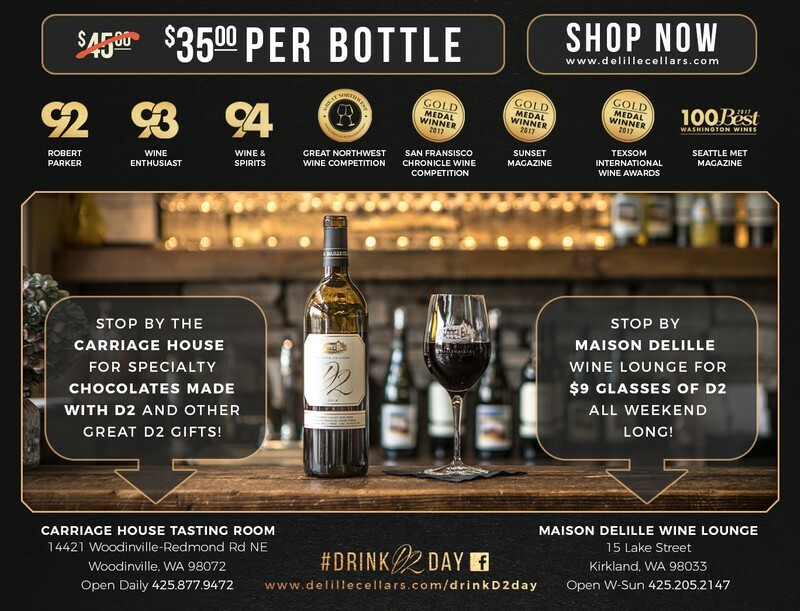 After years of waiting, I was finally able to buy wine from the restaurant, and the first bottle would of course be DeLille's D2. It was mid-December, my boyfriend and I cozied around the fireplace with dinner, and I was buzzing with excitement! So excited that I couldn't even taste the first sip, but by the second I was in love. Its great working in an industry surrounded by wine, because I've been able to taste and drink so many wines with good dinners, and celebrations, but for me D2 holds an extra special place in my heart. It's where this journey of mine started and where it ended, with fantastic wine. Thank you DeLille! #3-1 - Carrie Ann B. 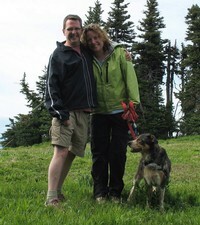 Shortly after my husband, David, and I met in 2009, we drove to the Olympic Peninsula to hike Hurricane Ridge. Part of the hiking ritual was to bring along food and wine to share and on that particular day I put a bottle of D2 in the backpack. It was a long drive from Issaquah so when we got there we were ready to stretch our legs and start the adventure in this breathtaking paradise. As we approached the summit, we noticed a trail meandering to the left through a field where marmots were whistling from their burrows. We decided to go that way and found ourselves at a clearing that overlooked a big canyon with the Strait of Juan de Fuca in the distance. It was the perfect picnic spot and we had it all to ourselves, or so we thought! Not long after we settled in and were enjoying lunch and the D2, we heard a rustling in nearby trees and a young buck popped his head out and was looking at us! 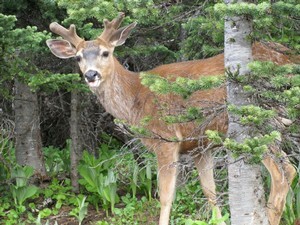 He was so close we could see the fuzz on his short antlers. As he slowly emerged from the forest, we were amazed not only at the buck's proximity and size, but also that he didn't seem afraid. We stared at each other for awhile and then the deer slowly made his way along the tree line, never taking an eye off of us, before disappearing back into the forest. The experience made for a magical day that my husband and I still talk about today and D2 was part of it! My husband and I have hiked many trails in Washington, but this particular trip ranks at the top as does D2 and the rest of Delille's wines. I'm a server at an upscale steakhouse in Seattle and my favorite D2 memory would have to be when a table from outside of the state came and sat down, asking for a "nice Bordeaux blend" while looking at the French wines on our list. 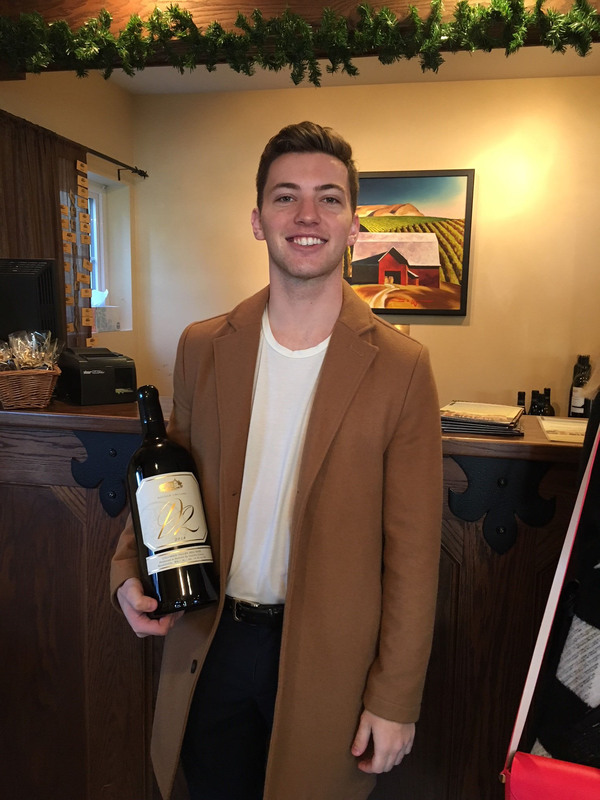 I steered them to the DeLille Cellars D2 as a local alternative to the traditional Bordeaux wines, tasting similar and allowing them to taste the LOCAL flavors (shouldn't you do that when visiting somewhere?!). They finished the bottle before even the appetizers were finished being consumed! "ANOTHER BOTTLE PLEASE!" Ended up with 3 bottles of D2 for them that night. Sadly, nothing was left for me! Not to worry as I went up to the tasting room in Woodinville a couple weekends later and got my fix of the D2, Doyenne and Rousanne! What a nice experience for our guests and a delicious tasting at the tasting room for myself!